Natsume Takashi has the ability to see spirits, which he has long kept secret. However, once he inherits a strange book that belonged to his deceased grandmother, Reiko, he discovers the reason why spirits surround him. Containing the names of these spirits, a binding contract was formed between the spirits and the owner of the book. 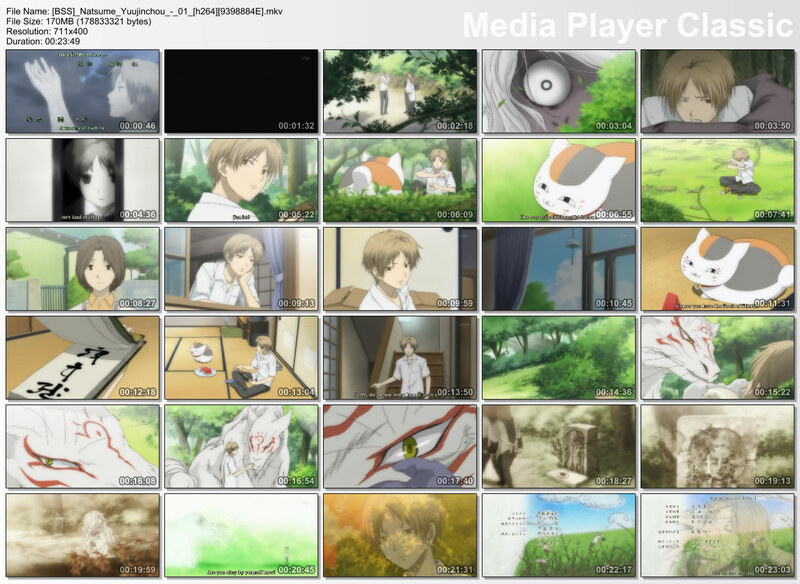 Now, Natsume is determined to free the spirits and dissolve the contracts. With the help of a spirit cat, his days are filled trying to return the names to these spirits. (Quote ANN). The opening song is one of the best opening i ever heard among 2008. It is a very calm, lovely song. The main character’s sound kinda of remain me of Takemoto in Honey and Clover anime. This is because the seiyuu for Takemoto and Natsume is the same seiyuu (Kamina Hiroshi). I kinda miss that his voice , i haven’t heard his voice for almost two years after the Honey and Clover series finish.